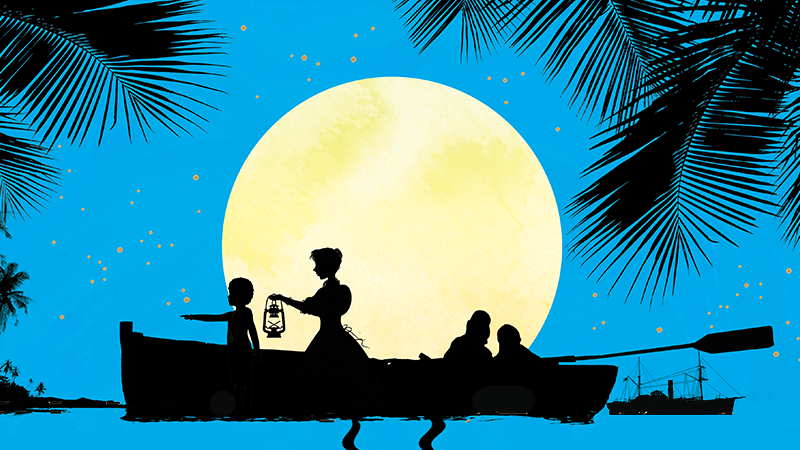 Children's author Laura Powell shares the inspiration behind her mystery novels and recommends a few books that any mystery-loving child will love. Filled with adventure, problem-solving and suspense, it's little wonder that children's mystery books are popular even amongst reluctant readers. Laura Powell, author of the Silver Service Mysteries, shares the inspiration behind her novels and recommends a few books that any mystery-loving child will love. There are two types of writer. One is the sensible kind, who plot everything out before they start, using Post-its and diagrams and colour-coded notebooks. The other lot literally make it up as they go along. This is me. I’ll admit it makes writing mysteries quite a challenge. The advantage is, you experience the story the same way as your readers do – you never know what surprises are in store! I love history, mysteries and fairy-tales, so combining all three in The Silver Service Mysteries was a real treat. It’s great that historical detective stories are becoming popular again, and I’ve gobbled up everything from Philip Pullman’s The Ruby in the Smoke to the more recent successes of Katherine Woodfine and Robin Stevens. But I only read these after I’d finished The Last Duchess. I wanted to ensure that the world I’d created was entirely my own. Having a supernatural element was a big part of this. Pattern, my resourceful maidservant-detective, comes up against witches and monsters in the course of her investigations, but writing fantasy doesn’t mean you can throw the rules out of the window. Magic still has to work within its own constraints and according to logic. Just like crime-fighting! While I don’t do much advance plotting, I do a LOT of research. For writing about life below-stairs in the early nineteenth century, I found some great “how to” manuals written by servants, which contain lifestyle advice as well as instructions on how to do various unpleasant jobs. Too much research can overwhelm the story, of course, so getting the balance right is always tricky. You need enough background detail to make the period setting feel authentic, but never distracting. Before I start writing, I have a clear idea of who the principle villain is going to be, and what their motivation is. I keep faith that everything else will follow. So all I need to begin are my main characters, the setting, and a couple of Big Ideas. The Big Idea in The Last Duchess came from the ruined castle near my parents’ house in Wales, which has a passageway that goes deep into the rocks. When I was little, I loved to make up stories about what might be lurking at the end of the tunnel. The Lost Island was inspired by the Odyssey, and Agatha Christie’s And Then There Were None. My two mysteries have very different settings, but hopefully the sense of peril and excitement are the same! After saving the Grand Duchy of Elffinberg in The Last Duchess, Pattern has been recruited by The Silver Service Agency to help solve supernatural mysteries. Pattern is quickly dispatched undercover to the Island of Cull as a housemaid to the mysterious Lady Hawk. She quickly discovers that the Isle of Cull has some strange and magical properties, including an unseasonably tropical climate and a party of house guests who seem entirely in thrall to Lady Hawk and her beautiful daughter. Pattern and her new friend Nate are the only ones immune to the spell Lady Hawk has cast, but as the male house guests begin to disappear one by one, they find themselves in a race against time to solve the mystery of the island’s magic. Two brothers, Damian and Anthony, are unwittingly caught up in a train robbery during Britain's countdown to joining the Euro. Suddenly finding themselves with a vast amount of cash, the boys have just one glorious, appalling dilemma - how to spend it in the few days before it becomes worthless! Torn between the vices of buying a million pizzas and the virtues of ending world poverty, the boys soon discover that being rich is a mug's game. For not only is the clock ticking - the bungling bank robbers are closing in too. For Philip, Dinah, Lucy-Ann, Jack and Kiki the parrot, the summer holidays in Cornwall are everything they'd hoped for. Until they begin to realize that something very sinister is taking place on the mysterious Isle of Gloom. But they're not prepared for the dangerous adventure that awaits them in the abandoned copper mines and secret tunnels beneath the sea. When Hazel's beloved grandfather passes away, Daisy is all too happy to accompany her friend (and Detective Society Vice President) to Hazel's family estate in Hong Kong.But as always the girls are never far from a mystery. 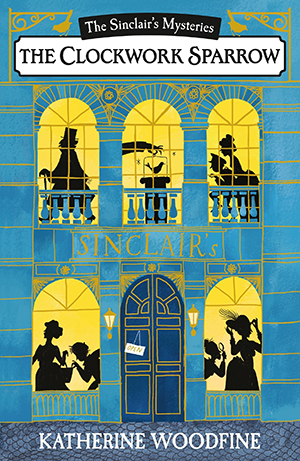 The luxurious Sinclair’s department store is open and Sophie is excited to start working there. But then the priceless Clockwork Sparrow is stolen. Accompanied with her new friends, Lillian, Billy and Joe, can Sophie recover it and bring the villains to justice?